I’m back in the studio after a lovely break, and ready to crank into 2015. 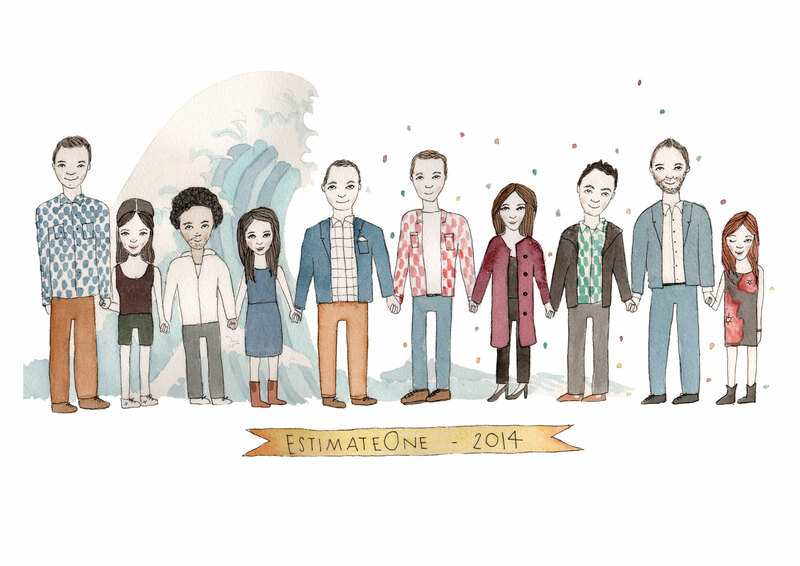 Portraits are coming in and I thought I’d share this large one that finished off 2014… a team of great work buddies, and lots of fun to draw. May your “Year of the Goat” be filled with the things that make you happy.